Here's a quick start for me, amazing how many of these games I never played! Any tips, all i'm doing at the moment is trying to shoot and dodge, any power ups at all? 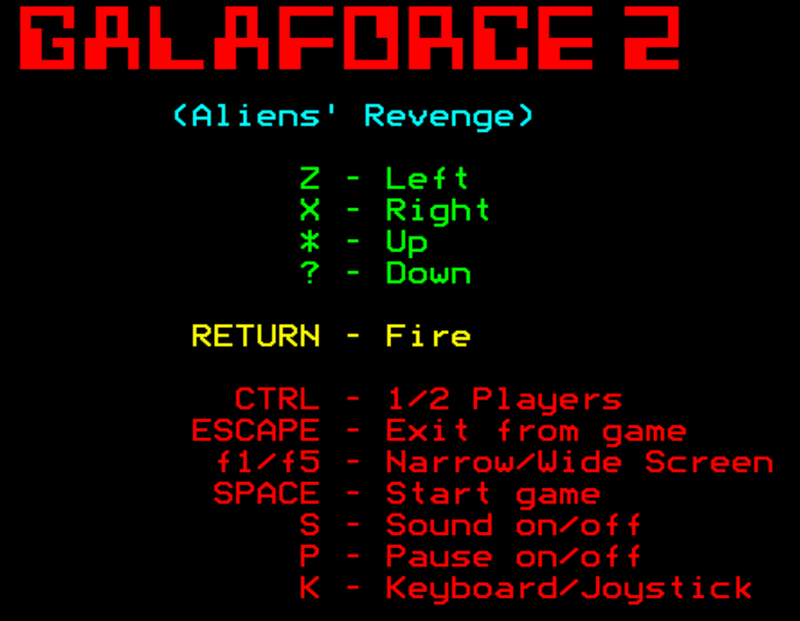 I always preferred Galaforce 2 to the original , its much faster and whilst not as colourful, I always came back to this one instead, still don't get why it was hidden away on Play It Again Sam 6 but there you go. As regards to power ups, I think the red box things are a power up of some description. Much better score this time, and i can confirm the red boxes are power ups, but they are random, I had speed up fire, slow you right down, reverse keys and smartbomb (press shift) . 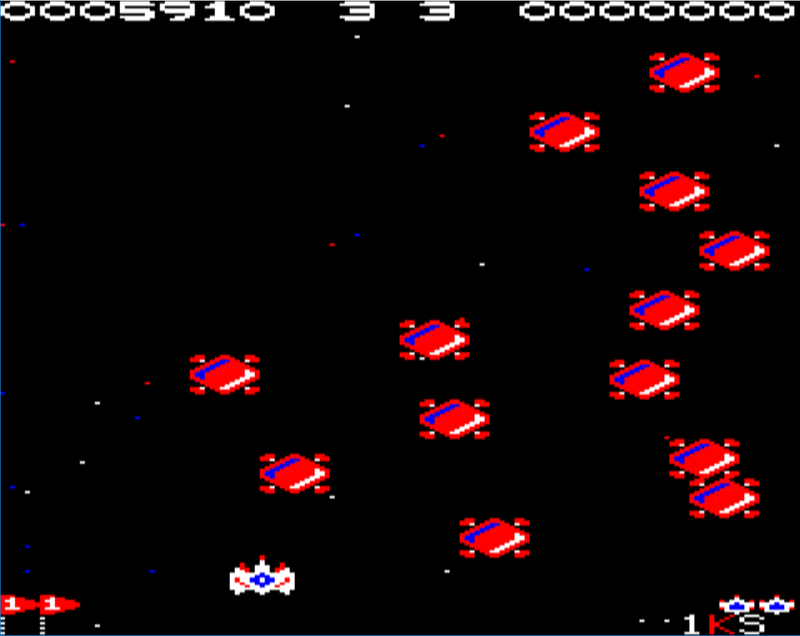 Starting to get the hang of it now, so many patterns to remember and some of them absolutely race around the screen. Anyone have stats or info about how many sprites this game engine is pushing to the screen as it seems like an impressive amount of moving objects at a fairly decent framerate? Can anyone confirm that the bonus boxes can be run into as well as being shot? I'm sure I ran right into one and I didn't die. 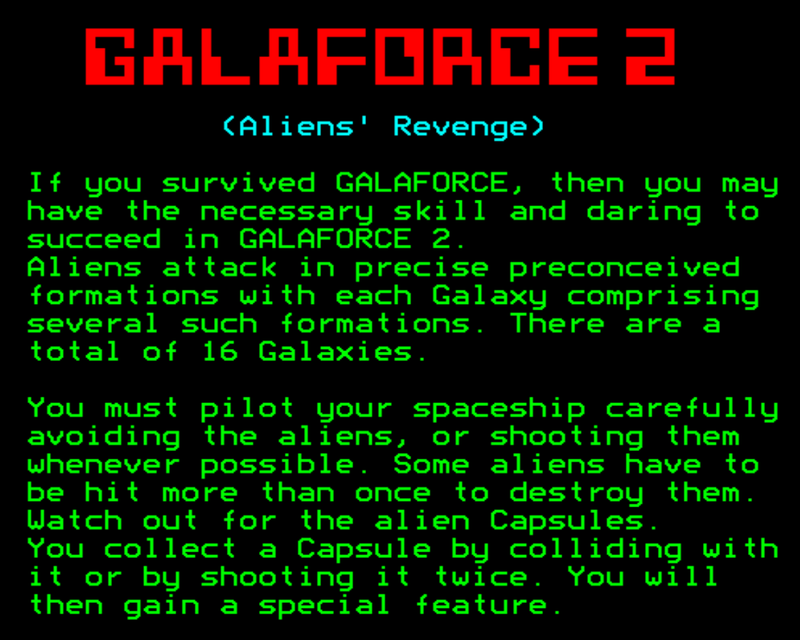 Well, I love Galaforce but have never really played Galaforce 2. IIRC, originally the game was going to be released stand-alone by Impact (who released Clogger and Zenon), but it contained a lot of IP from Superior (many of the Galaforce 1 Electron graphics) so it ended up being released by Superior in the end. Interesting never knew that, I will ask Richard Hanson if he can remember anything . Doing my best to avoid the power ups. Both games here I felt I was unfairly killed by a bullet, I'm sure they missed me. New high score, which could of been a lot more, if I hadn't of collected a 'power up' which takes away your gunfire - how fair is that? 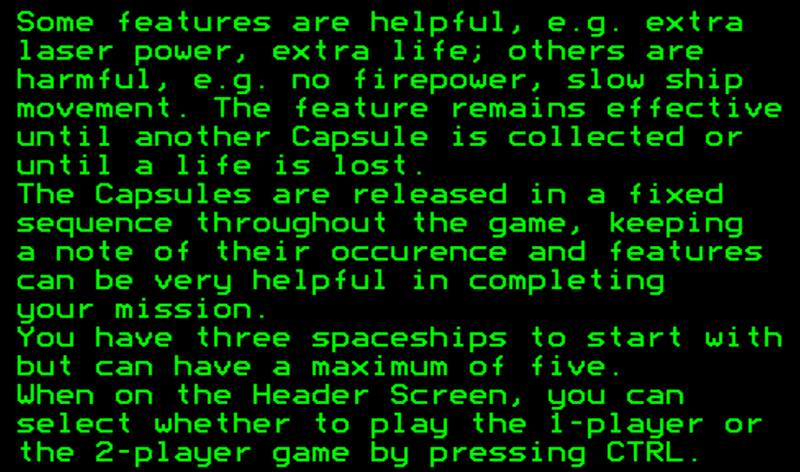 Caught out by the reverse-direction powerup... 46,460. Last edited by chrisn on Fri Jul 14, 2017 9:05 am, edited 1 time in total. This could be the last one from me this round as I'm finding the negative power ups really frustrating. New high score. I asked Richard Hanson about the game being on PIAS 6 and it was largely due to the BBC/Electron games market slowing down and therefore less new titles being released so it was decided that this one would go on a compilation instead. Loving this game, could sit and listen to the autoplay song over and over. As said above I tend to avoid the bonus block once I have rapid shoot, have been doing well on occasion only to get slow or reverse keys or no shoot and lose lives quick. MatthewThompson wrote: New high score. I asked Richard Hanson about the game being on PIAS 6 and it was largely due to the BBC/Electron games market slowing down and therefore less new titles being released so it was decided that this one would go on a compilation instead. I'd love for there to be the full set of Impact Games Club catalogues scanned, because in one of those there was a screenshot of the title screen without the Superior copyright notice and an article saying that Impact were planning to release the game soon. I'd guess it would be mid-88 sometime. I found these online but it's not the full set, I remember there were black and white folded paper ones before these better quality ones. Unfortunately there is no mention of Galaforce 2 in it , unless I missed it. Just noticed this, there is a mention of Galaforce 2 in the news section here, no screenshot, but it looks like Impact were after it. I'm not in that stratosphere yet but coming along. I think the challenge is getting to know the level patterns. You've obviously played this enough to get to know that. For me this game is a first so it's going to be slower building up a good score.